Azam has been working for P1 since 2010 and has been involved in every aspect of the business from racing to manufacturing to event management and more. Before joining P1, he raced both in a powerboat and on a personal watercraft (jet-ski). 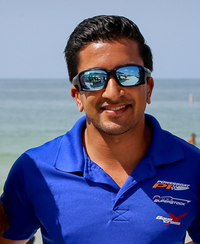 Azam is also a qualified Electrical and Electronic engineer Azam is our International liaison and provides vital back-up and support for the US and UAE championship co-ordinators, contact Azam if you would like to see your city or country host a P1 AquaX or SuperStock event. 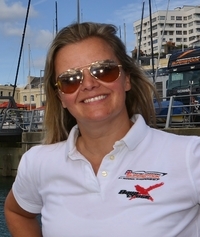 Lisa Barsby is a multiple British, European and World watercraft champion and is the driving force behind the successful P1 AquaX racing series. Lisa has raced all over the world, mostly competing against other women, but has also raced against the boys. She is one of the most successful British and European jet ski racers and was the first woman to win an open title at the IJSBA World Championships. She was also crowned the UIM's first Pro Women's World Champion in Dubai in 1995. 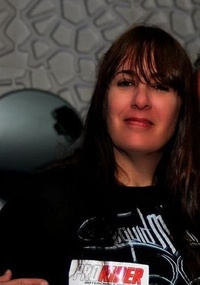 Lisa has been involved in the personal watercraft industry for many years, first for CSL publishing where she worked in sales and marketing before becoming the publisher for Jet Skier & Personal Watercraft magazine. She continues to contribute regularly to various magazines and projects within the sport. 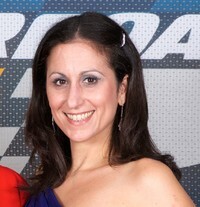 In 2000 Lisa joined the Jetsport Racing Association of Great Britain, initially in the media and marketing department before taking over as the Series Organiser. During that period, she increased rider participation and raised the level of competition, which culminated in the UK winning the 2009 IJSBA Nations Trophy. This was the first time a country other than USA had won the coveted prize. 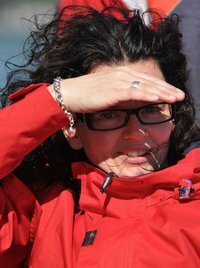 In 2010 Lisa left the JSRA to develop a progressive and modern watercraft racing championship for leading marine motorsport promoter, P1 AquaX was launched that year in Southampton, UK with just 11 riders. Since then more than 500 riders have competed in AquaX championships in the UK, Florida, the Great Lakes region of the USA and now in Malaysia. Michelle oversees and manages the USA AquaX series including P1 Superstock. Michelle was once a billboard poster girl but she is not to be crossed she has a black belt in Tae Kwon Do and has studied Krav Maga! Look out boys! Jillian is the heart of the team. Jillian has proudly served as the Office Manager for the P1 USA Office since 2014. Between managing the office, arranging hotel, travel arrangements and lunches for all events, racer registration, managing the merchandise and online store, managing the accounts, planning the Annual Awards Gala, and everything else that comes across her desk. Jillians favorite P1 responsibility is cheering on her team. She is proud of how her team has continued to grow year after year and is honored to be a part of that growth and success. She mans the office on event weekends and is always around to answer any questions. Being our Office Manager, she handles many of our administrative work around accounting, organizing racer registration, coordinating staff and racer lunches and lodging on the event weekends. Roy handles all general enquiries and manages the media relations and PR function for P1 AquaX. Karen manages all the driver registration and administration, call her if you need registration forms, race entry forms or would like to enter a race. For UK competition enquiries please contact Karen. 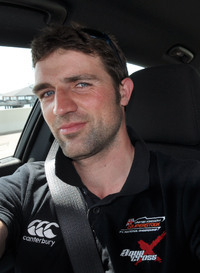 Glyn is the AquaX Race Trainer, he is responsible for taking all the riders through the AquaX Racer Training syllabus prior their first race meeting. On event Glyn manages all the on water aspects of the race. 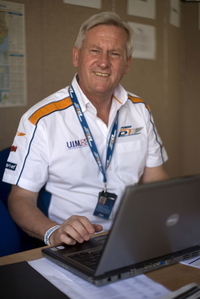 He and his team of AquaX marshals work in liaison with the Safety Officer to ensure the safe management of the race. They are responsible for escorting the riders to and from the wet pits to the racetrack and into the start alignment procedure. They utilise personal watercraft to manage the safe conduct of the race. Their primary concern is safety and they have the authority to stop a race and apply penalties when necessary. Glyn's an RYA qualified instructor and and has headed up safety rescue teams throughout Europe and UK for the past 10 years. He runs his own PWC safety rescue company Water Rescue International.